Romance is in the air because Cupid’s Holiday is just around the corner! Valentine’s day is meant for flowers, chocolates and showing your partner how much they mean to you. Just because you’re married doesn’t mean the rules have changed! Here are some unique ideas for your first Valentine’s Day as a married couple. Everyone needs a getaway every once in a while – all you need is your partner, some good food and even better champagne! Book a nights stay at a local hotel you’ve been dying to visit. Take a break from your everyday life at home and spend the night wining, dining and reconnecting. Some alone time away from home will be the perfect gift for you and your partner. If you want to surprise your partner, book a room at the hotel you stayed at the night of your wedding! What better way to celebrate your first married Valentine’s Day than staying in the place where it all began! 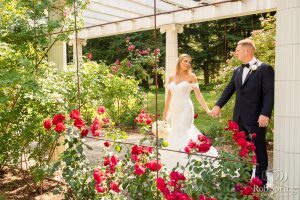 Ever wish you could re-live your wedding day? 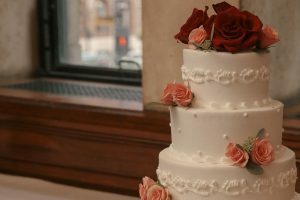 Well, how about reliving your wedding cake? 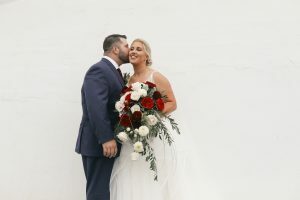 Treat yourselves to the extra calories and re-order a smaller version of your wedding cake from the caterer or bakery that helped delight your day. This one will require some thinking ahead though as most caterers require advance notice. If you’re a Mazzone Hospitality brides or groom, you can get back in touch with your planner or contact our catering team today to reorder your cake! Everyone loves a good surprise, write your spouse a love letter or leave some chocolates for them to find during their day. Love letters are great because they can be as cheesy as you want them to be! You don’t need to be a poet to write a love letter, just write down what you love about your spouse, or how they make you feel. Hide it with a box of chocolates in their coat pocket or bag. When they find it their day will be made! These simple gestures take almost no time, but they will mean more to your spouse than you’ll ever know. 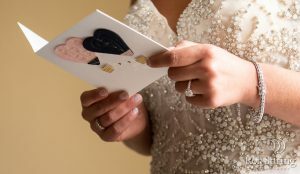 If you want something even more personal, think about a custom wedding memento. 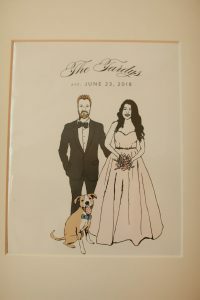 Commission someone to do a sketch of your wedding venue or your favorite photo from that day. Want to explore your own creativity? Create a scrapbook for your spouse full of photos, pressed flowers and other things you saved from your wedding. Your spouse will love it and you two can reminisce about the most special day of your lives! 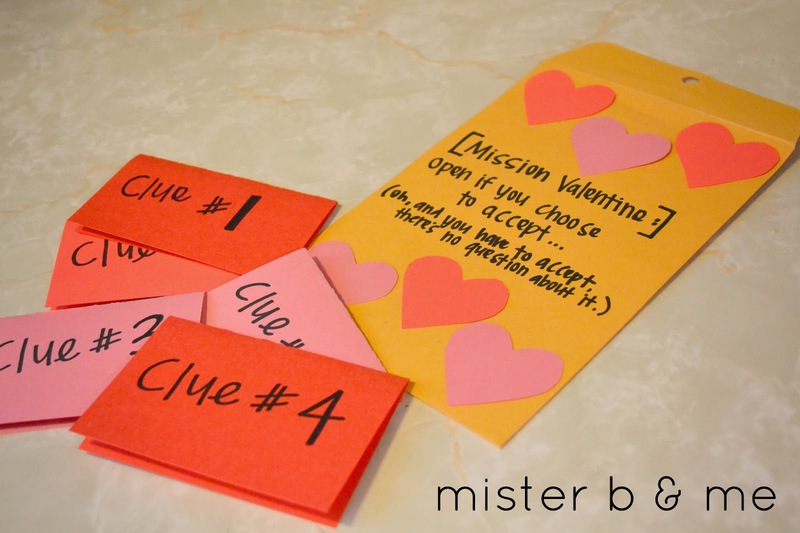 If you want to be more on the extravagant side plan a love scavenger hunt for your partner to do that day. Scatter a bunch of clues around the house or even more adventurous, around your city! The clues can lead them to little presents, or places that are important to you and your spouse. Have them find you at the restaurant you went on your first date, or where you first met! This gift is so thoughtful and you and your spouse will have the most memorable Valentine’s Day! Do you and your partner have that made to be, written in the stars type of love? Why not put it on paper! 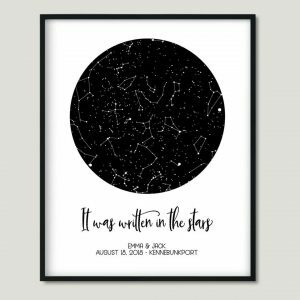 You can order a custom map of the stars from the night of your wedding, your first date, whatever feels most important to you! 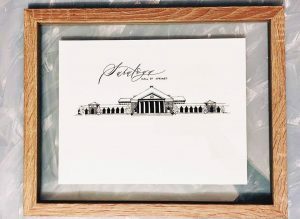 It’s simple and unique and once framed, provides the perfect decoration for your home. Whatever you choose to do for Valentines Day, just be sure to take the time to recognize and appreciate all your loved ones.